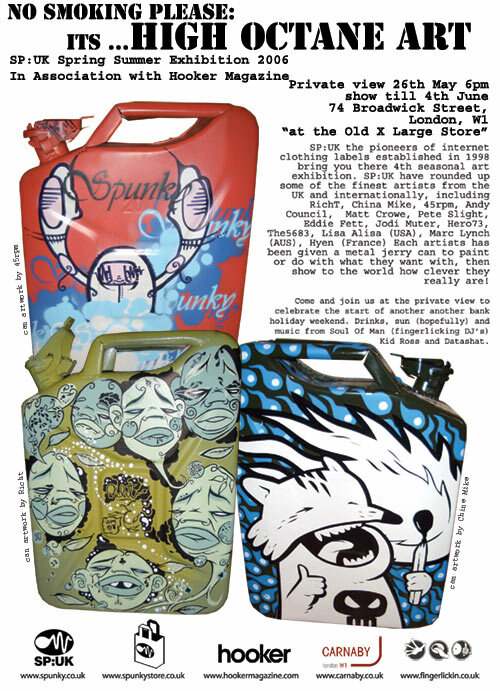 SP:UK's Summer Exhibition is due to kick off with the private view opening night on the 26 May For this show they have asked artists to paint metal jerry can however they please. Artists including Chris King, Pete Slight, RichT, China Mike, 45Rpm, Feek, Lisa Alisa and Eddie Fett. Dj's iat the private view nclude Souls Of Man (Fingerlicking Dj's) and Datashat kicking off a great start to a bank holiday weekend!!! Make sure you get there early 6pm till the beer goes!